Botswana is one of the most sparsely populated countries in the world, and up to 70% of the country is covered by the Kalahari Desert. The noontime episode included 10 students sent to a local clinic for shock and released the same day. Although teachers were said to have seen nothing, several students were screaming, fainted, and running amok. Classes were so disrupted that classes were stopped for the day, said the Voice of Botswana. What could these be? Hirsute beings* of small size are known by a variety of names throughout Africa, including in the Congo, they are called kakundakári; in central Africa as amajungi or niaka-ambuguza; in East Africa as agogwe, doko, mau, or mberikimo; in southern Africa as chimanimani or tokoleshe; and in West Africa as abonesi, ijiméré, or séhité. Attention has been given to these reports in different decades. For example, there were widespread reports of reddish-haired séhité in 1940s’ Ivory Coast (more properly known today at République de Côte d’Ivoire), where there were no known pygmies at all. 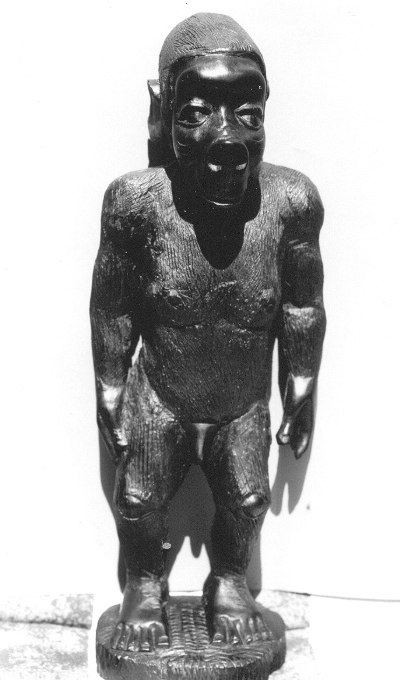 *For more on the little hairy people of Africa, please see The Field Guide of Bigfoot and Other Mystery Primates (NY: Anomalist Books, 2006), and Cryptozoology A to Z (NY: Simon and Schuster, 1999). Maun is the fifth largest town in Botswana. As of 2011, it had a population of 55,784. It is an eclectic mix of modern buildings and native huts. Maun is the “tourism capital” of Botswana and the administrative centre of Ngamiland district. It is also the headquarters of numerous safari and air-charter operations who run trips into the Okavango Delta. The name Maun is derived from the San word “maung,” which translates “the place of short reeds.” The village started in 1915 as the capital for the Tawana people. The capital was transferred from Toteng after victory over Ndebele King Lobengula. In a broader sense Maun is a gateway for exploring much of northern Botswana; for example it is the natural hub for visitors from outside the region to explore the Tsodilo Hills and the Makgadikgadi Pans. The Thamalakane River discharges to the Boteti River, whose seasonal high flow reaches the Makgadikgadi. Source. 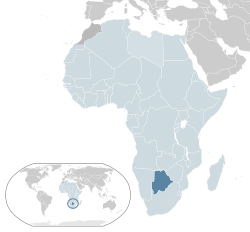 Location of the Republic of Botswana, Africa. 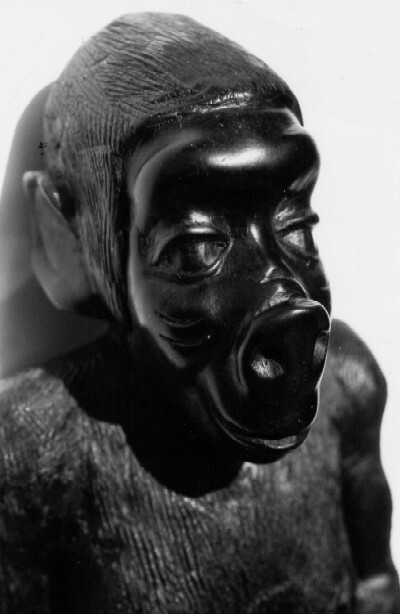 I was informed by Christian Le Noel that this statue was from Tanzania and represents an Agogwe. However, Jean luc Drevillion tells me that this is incorrect. 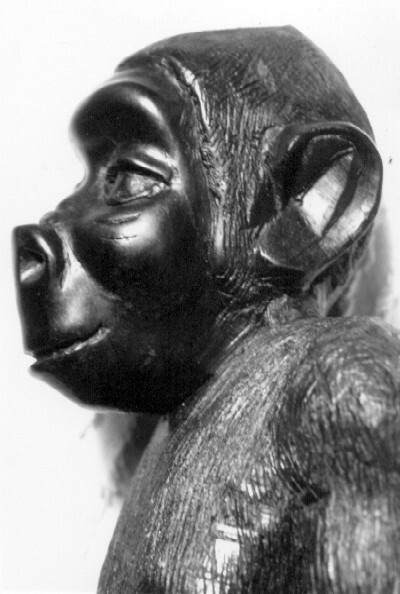 Drevillion says it is a statuette of Kara-Komba or the bush dwarf or Toulou, which is the local form of the proto-pygmy in the Central African Republic. 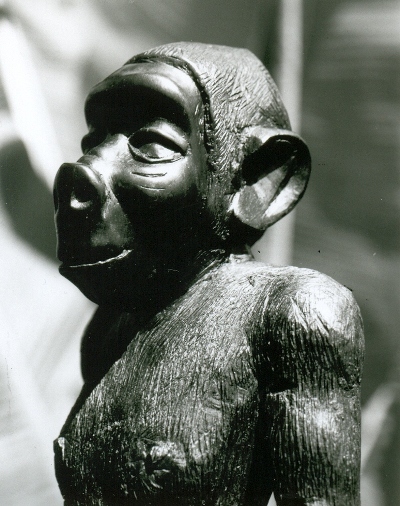 (He writes in French: Cette statuette représente un Kara-Komba ou nain de brousse ou Toulou qui est la forme locale du proto pygmée dans la République centrafricaine). 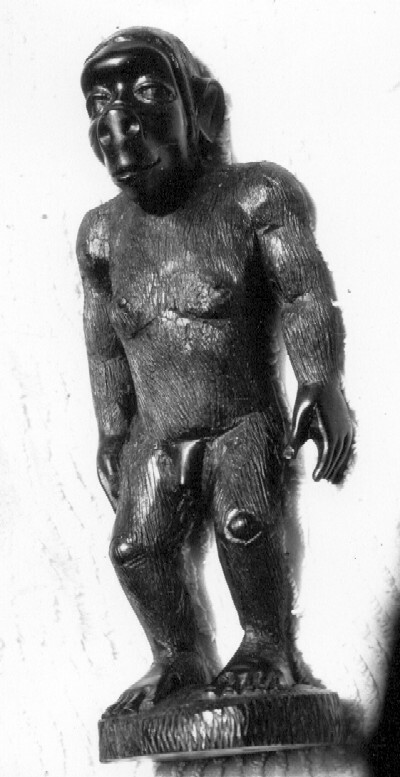 My understanding, nevertheless, is that this is a form of the Proto-Pygmy of which Agogwe is one name and Kara-Komba another, depending on the location and informant. The local name from Botswana is unknown to me, at this time. On a continent where huge previously unknown populations of animals seem to be found every other year or so, a previously-unknown species of hominoid isn’t exactly the most farfetched thing.